We initially had planned on doing a dual-Froyo theme Friday with this new Team Chaos theme and JRummy’s Kangerade, but Rummy’s is still going through some testing so it’s just this one for now. You can bet that we’ll have the Kangerade for you once he gets it finalized though. With that said, check out the second Team Chaos theme of the week! 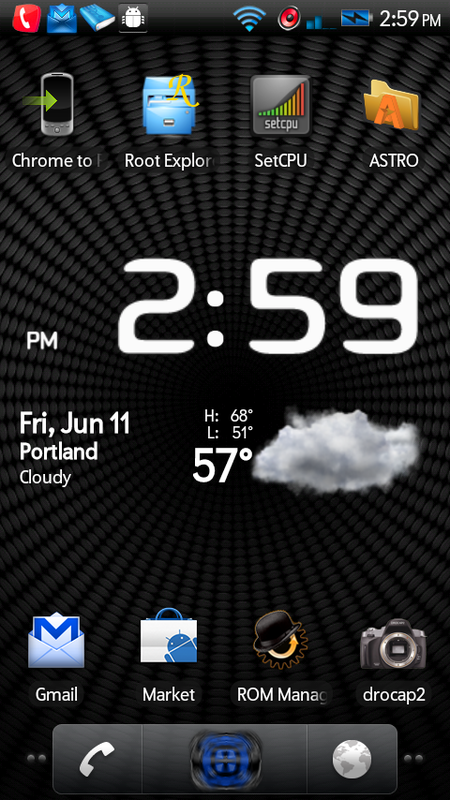 *Note 1* – Make sure you have the updated version of ROM Manager. 1. Open ROM Manager, select Download ROM and then Team Chaos. 2. Choose Team CHAOS Froyo Themes. 3. Then check the box for Black Ice Froyo V1.3 and select OK.
4. When it finishes, check the box to make a backup if you do not have a recent one. 5. You can skip “wipe data and cache” if already running another Froyo ROM. 6. Hit “OK” to allow your phone to boot into recovery and work some magic. 7. When it finishes, it will reboot and you should be Onix Froyo’d! Full support thread for Team Chaos here. Comments or questions? 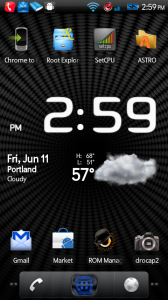 I know I”m loving all of these new Froyo ROMs and themes.